Checking in from Washington-Grizzly Stadium. A few guys for each side are on the field for early warmups about 90 minutes before kickoff. Key notes on the ramifications this afternoon: Eastern Washington clinched a share of the Big Sky title and the league's automatic berth in the playoffs with a 56-34 win over Portland State last night. 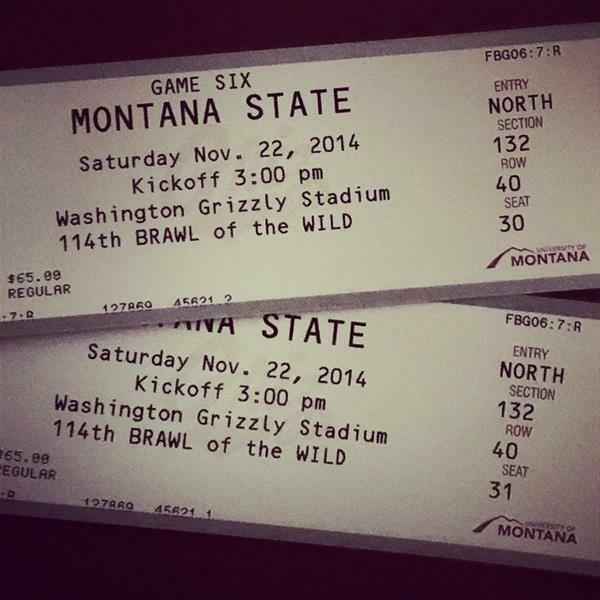 Montana State can claim a share of the conference title with a win. They might be in the playoffs either way, but a win would pretty much seal it. 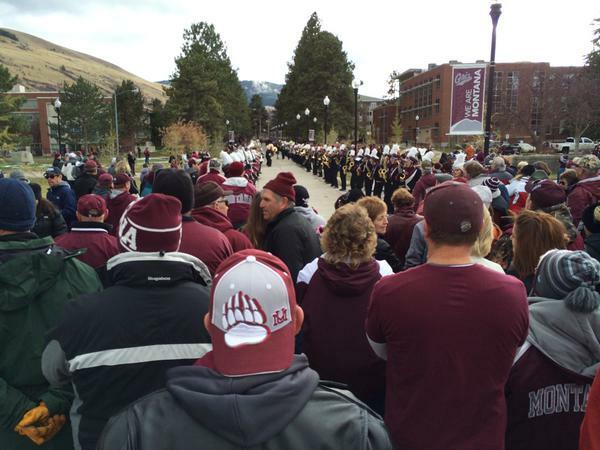 Montana likely needs a win to keep their playoff hopes alive. 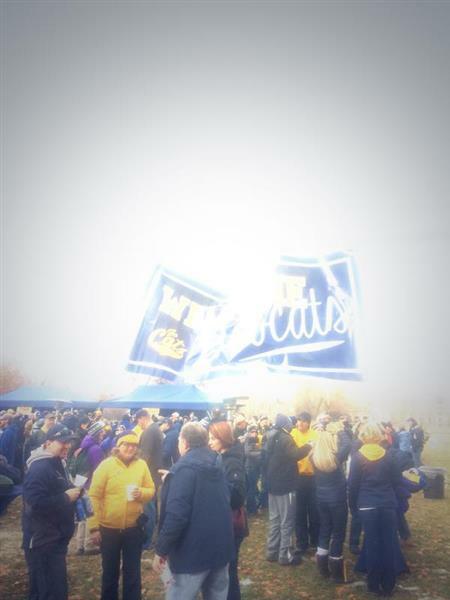 In between @Bobcat_Beat and @joseph_terry for today's #CatGriz2014! Gonna be a good day, tater. 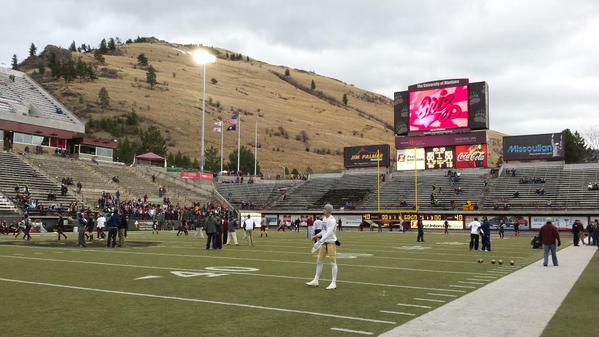 Any way you slice it, there's a big effing football game today in Missoula. The Library will be open for nearly 3 more hours today. 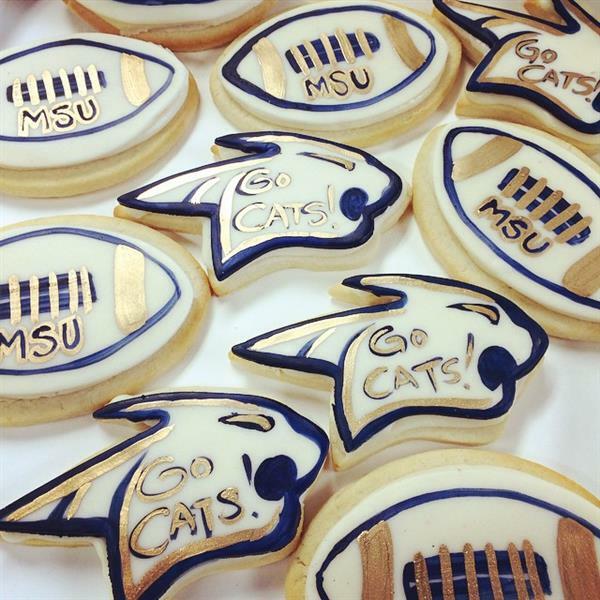 If you are worried about missing the Cat Griz game, we will have a TV in the lobby so you can catch the score! 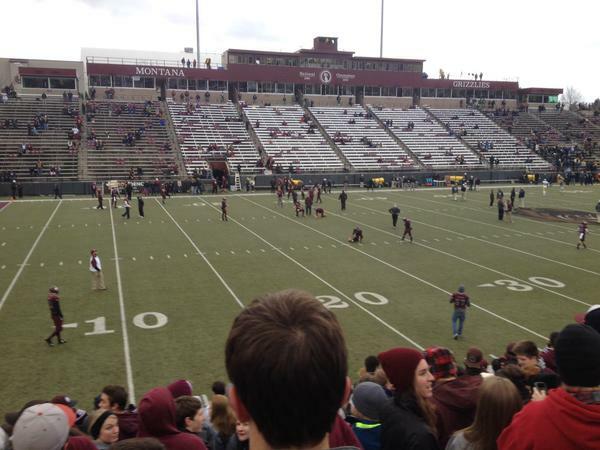 Up in the press box for #CatGriz2014 . 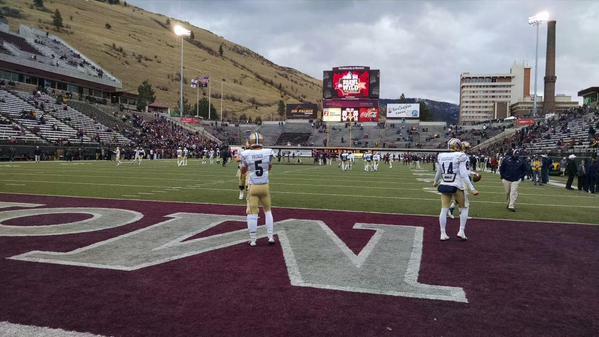 MSU QB Dakota Prukop, RB Shawn Johnson, WR Justin Paige all dressed out for warm-ups #BigSkyFB . 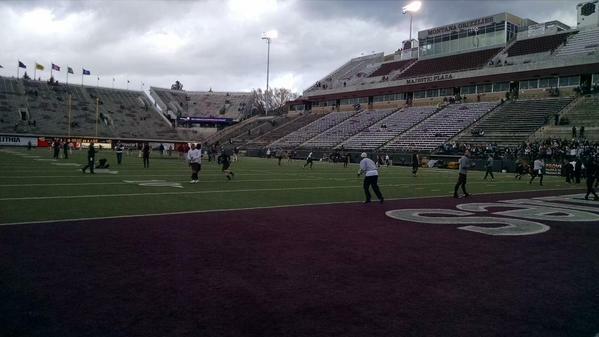 #CatGriz2014 : I saw MSU backup CB Trace Timmer in street clothes outside stadium. He's not on the injury report so not sure what's going on. 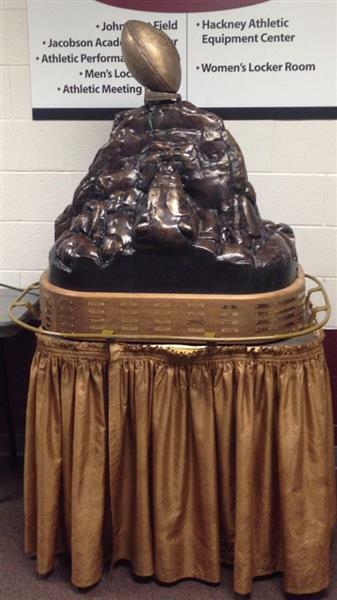 #CatGriz2014 : Coastal Carolina lost on a last-sec FG to Liberty. Fordham lost as well. North Dakota State is up 14-0 over Youngstown.